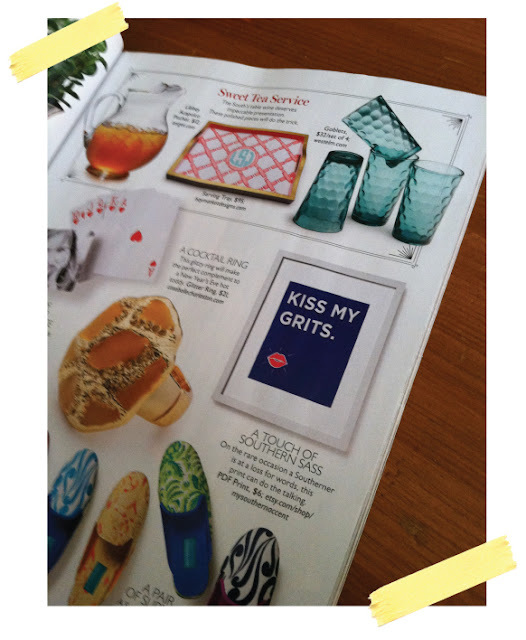 So one of bloggers I follow, Southern Accent was featured in Southern Living Holiday Gift Guide.. Yup that is her Kiss my Grits poster below. Her ETSY SHOP, has some of the cutest prints, you just pay for the image, and she sends you the image to download and print as many times as you may like. They are great ideas for the holiday, just print, and put in a simple frame with or without matte and you are good to go! !